Spreading awareness- Prevention specialist Sara Burrell shares her experiences with capstone students. FCD visitors came to present to students on December 4 to 7. As a way to provide students and teachers with information on substance abuse prevention, the Freedom from Chemical Dependency (FCD) Prevention Works Organization came to the high school from December 4 to 7. The prevention specialist visitors provided a presentation for students in the Healthcare 21 and Art of Leadership capstones, sophomore students, and the Peer Leaders in the school’s library and health classes. FCD is a non-profit organization that has partnered with Farmington Public Schools for the past 13 years and continues to present to a variety of students in an effort to provide substance abuse prevention. “This program presents a perfect opportunity for discussing alcohol and other drug-related issues with students. Beyond instructing students, we see adult involvement as crucial to our efforts to reduce the risks teenagers face. Too often an ‘everyone is doing it’ attitude prevails while our research shows that an overwhelming number of Farmington students make healthy and wise choices,” Health and Wellness Department Leader Edward Manfredi said. Students who attended the presentations were able to listen to firsthand experiences from specialists, including Sara Burrell and George Brown, who worked with the Peer Leaders to help identify strategies when working to educate students in the Farmington Public Schools. They were given the opportunity to voice their experiences as well as provide tips for students. “The disease of addiction has an identity. It has a thought pattern, frame of mind, and it lies to somebody in their own voice. That’s why it is hard for an addict to differentiate between a good or bad idea, and I think people at your age should understand that,” FCD prevention specialist Sara Burrell said. Students in capstone courses, such as Healthcare 21, had the opportunity to widen their knowledge on substance abuse from these speakers, and have a chance to possibly include what they’ve learned in their yearlong research projects. “I enjoyed having the opportunity to watch this presentation with my fellow capstone students. It informed me more about the consequences of addiction and what my future steps could be to prevent those things from happening in my own life. I think this is important for other students to realize and understand as well,” senior Lauren Young said. The high school will continue to bring this organization to the school to present, as it provides students with role models for a healthier lifestyle. 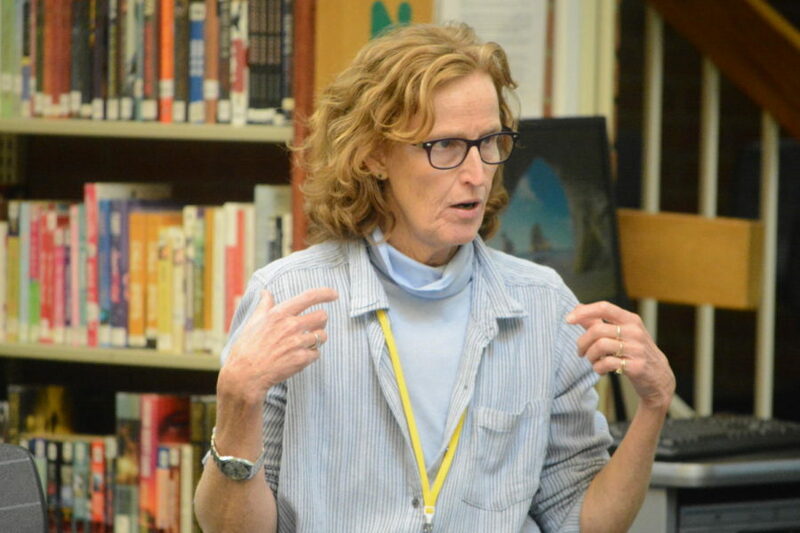 “We want our students to hear a consistent message from both school and home that we are concerned about alcohol, tobacco, and other drug use by teens, and that we are committed to keeping students safe and healthy,” Manfredi said.